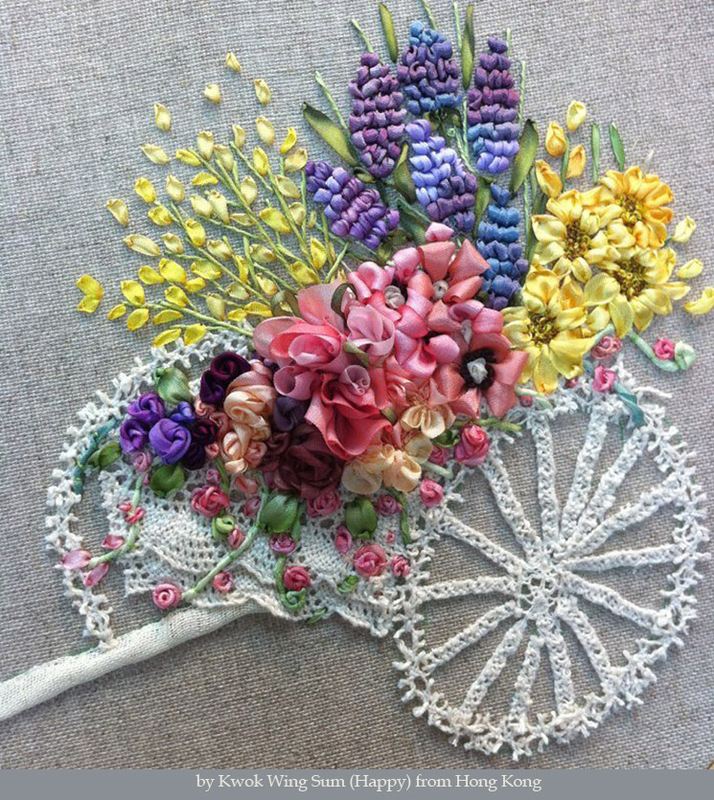 Ribbon embroidery is a fabulous example of a fiber art. I think that this is a beautiful example of ribbon embroidery by an artist that used to be on deviantART, Lusi, and sadly the account has been removed. Can you imagine this on a comforter or even on a couture wedding gown? 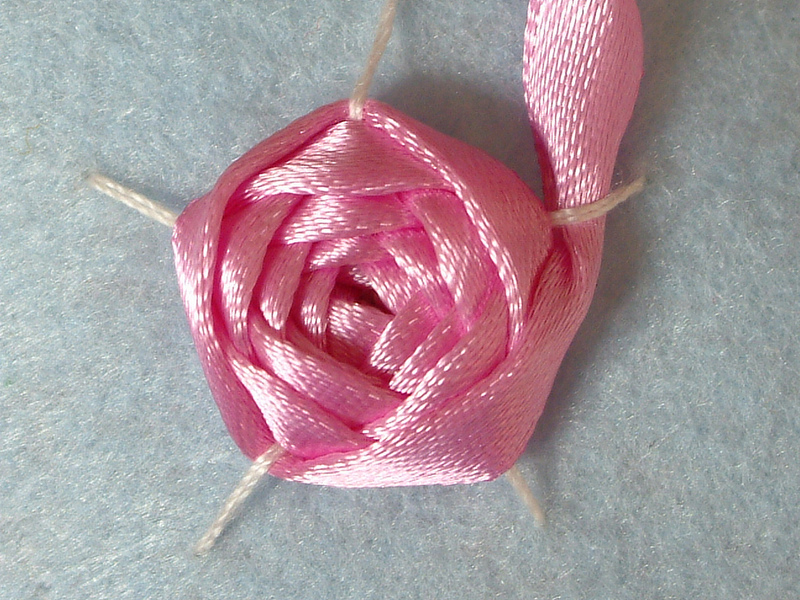 This is a close up image of one type of a ribbon embroidery method by Fairy Fox on Flickr. She has several images that are great step-by-steps of ribbon embroidery on felt. Fairy Fox has a shop on Etsy as well where she sells adorable DIY felt products & patterns. 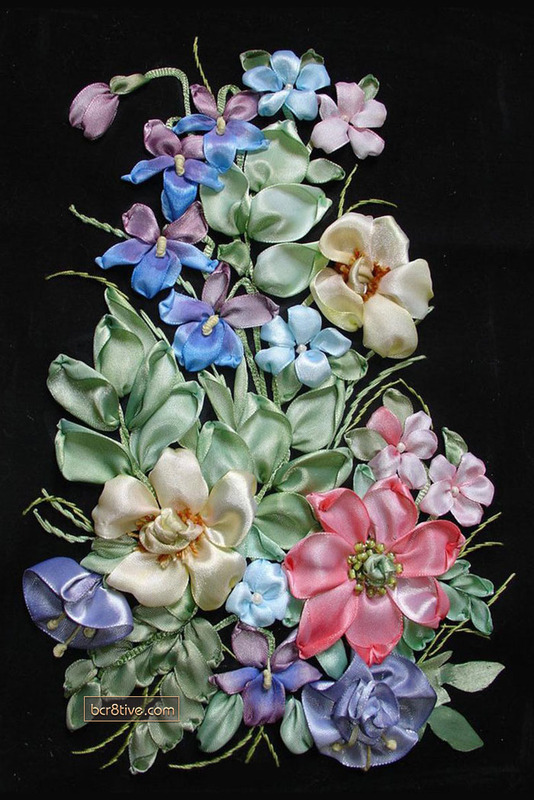 This is yet another really pretty example of ribbon embroidery by artist, Kwok Wing Sum. Here is a Ribbon Embroidery How To from BHG – it has several illustrations of close up stitches which surprisingly (to me) are very similar to traditional embroidery stitches! Here is another tutorial about Ribbon Embroidery stitches that is a little more detailed from Stitching.com. This is a great site for supplies. Everything for the beginner to the expert and in between.